Well that’s not what this article says, but I think it would apply. A study was conducted across several cultures to see if belief in an all-seeing god made people more neighborly, and the result was yes. Not that surprising really, essentially people tend to imagine that their god’s have minds much like their own. Now it is one thing to have your conscience nag you about your misdeeds, but if you believe that your conscience can pay you back for your evil, then the impulse to take the easy way will be less attractive since you will predict that in the long term it ain’t that easy. The trick though is what happens when people no longer believe that the universe acts according to the demands of their conscience. Sure the occasional saint does good for its own sake, but for the average Jane does unbelief foster selfishness? Here is blog post from HolyLandPhotos Blog. 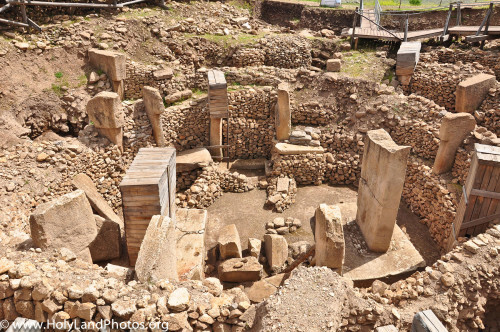 Gobekli Tepe is the oldest megalithic structure known and a valuable incite into the evolution of human religion. I’m intrigued by the stone with Vulture carvings. Vultures appear in the art of Neolithic Turkey as well and I wonder if their is connection to the odd practice of sky burials, leaving bodies exposed to be eaten by vultures before collecting the bones, still practiced by some communities of Central Asia. 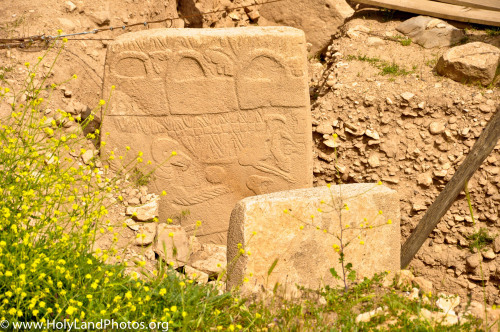 For those interested, I have posted 17 images of Göbekli Tepe (“Potbelly Hill”)—a Neolithic site located about 9 mi. north of Sanliurfa in south–central Turkey before the “protective covering” was constructed over the site. 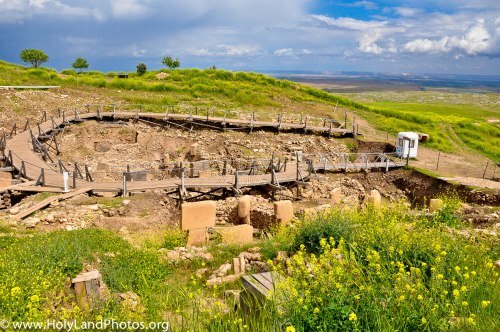 This 22 acre site was functional from roughly 9,600 BC to 8,200 BC was excavated by Klaus Schmidt. It was a religious center constructed by and used by foragers (not farmers!). The excavated portions consist mainly of rings of well-carved standing limestone pillars—the tallest 18 ft. high.